Summary: A nice blend of mischievous humour and all-out menace. A welcome Region 2 debut for Steve Miner’s quasi-classic horror thriller. The script (written by David Twohy, who went on to direct Pitch Black) takes obvious inspiration from other time-travelling fantasies such as Highlander, Time After Time and The Terminator, and Twohy and Miner refashion these elements in the form of a fast-paced magic-themed chase movie. Grant and the wackily-dressed Singer have a nice chemistry, but it’s the darker moments that are the most fun: the warlock thinks nothing of biting out a man’s tongue and spitting it into a frying pan or engaging a young boy in chit-chat before drinking his fat in a witchy ritual. Apparently, the eye-gouging scene (featuring Warhol alumnus Mary Woronov as a channeler) was originally a gorier affair – it’s disappointing that the exorcised material isn’t included here. There’s little denying that Warlock is more silly than it is frightening (though it’s nowhere near as pleasingly ridiculous as Highlander) and the story doesn’t contain much in the way of surprises. 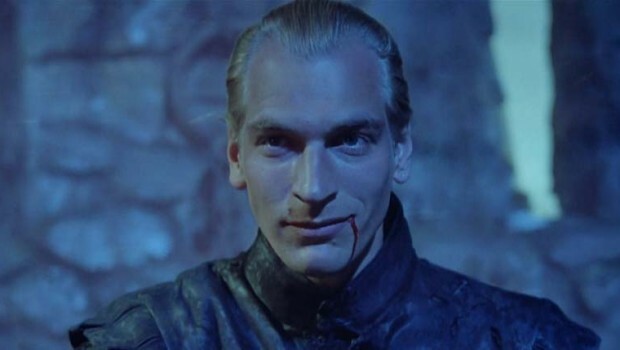 But its great leads ensure it’s never less than watchable: Richard E. Grant gets to play action hero for a change, while Julian Sands lends the warlock a nice blend of mischievous humour and all-out menace. When it eventually gained a release, Warlock was popular enough to spawn a 1993 sequel, Warlock: Armageddon, though it pretty much ignored the events of the first film.